Lost or stolen device? Keep your data safe. 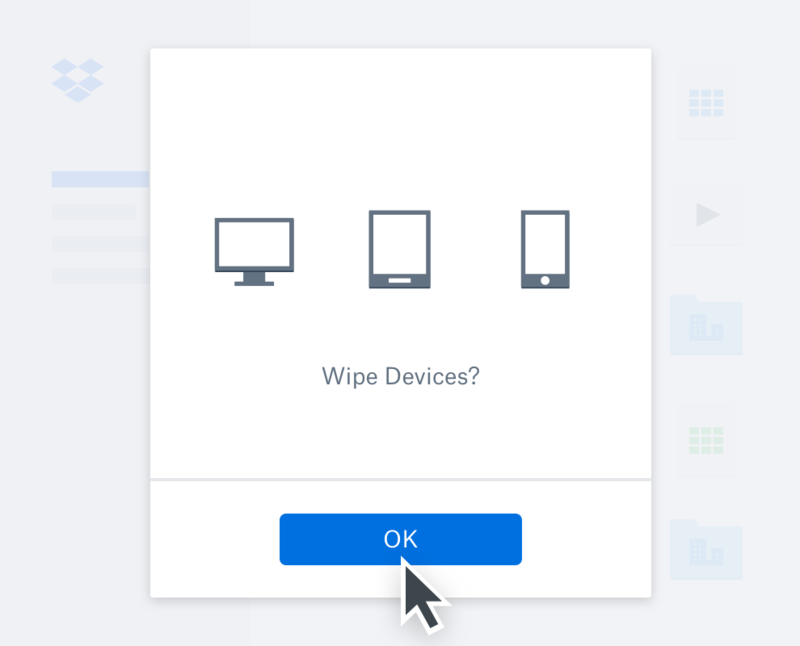 Whether you’ve left your phone, laptop, or tablet behind on the subway or it’s fallen into the wrong hands, remote wipe helps ensure that files stored in Dropbox remain secure. Remote wipe gives you the capability to erase the data in your lost device’s Dropbox folder. Your files will remain safe on dropbox.com, and you can choose to sync them to a new device. Once you remote wipe a device, sign in to your Dropbox to double-check your status and make sure that your data is completely erased from the device. You can use remote wipe to remove Dropbox data from all your personal devices, including your desktop computer, laptop, iPhone, iPad, and Android phones and tablets. Life happens. Remote wipe keeps your data safe.